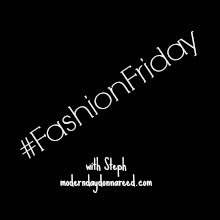 Today I'm linking up with Fashion Friday. Check out all the posts for more Fall Fashion inspiration! Last week's 7 Ways to Wear A SBD (Simple Black Dress) post was surprisingly a big hit! Did any of you get inspired enough to go out and find yourself a simple cotton jersey dress? How have you worn it? I've had this pinned for a while. What struck me is that I already had the perfect sweater for the post. What caught my eye, though, were the jeans. We are living in the Age Of Skinny. And while it took me a while to get into this trend, I do enjoy the Skinny Jean (and her sister, the Straight Leg Jean). Sometimes I need a little flare. I'm a 90's girl. Well, I was born in the 80's. But I spent my middle and high school years in the 90's, which means a lot of who I am was shaped during this time. And, yes, much of 90's fashion has gone to the wayside. Some trends, though, I'll always hold near and dear to my heart. And in that I include bootleg or wide leg jeans. Weren't they just so much more comfortable? Back in the day, Flare jeans (Boot Leg and Wide Leg) were loose in all the right places. They weren't like a second skin that showed far too much (sorry, Skinnies). Something about them screams comfortable. In jeans that have some flare I just feel completely me. Throw in a vintage fitted t-shirt and a pair of Birkenstocks, and I'm set. Anyway, I like that some trends today really work well with the looser-fitting jeans. When I was doing my shopping at Clothes Mentor, I found a pair of trouser jeans (which I believe fall into the "flare" category since they are looser fitting) from Ann Taylor. 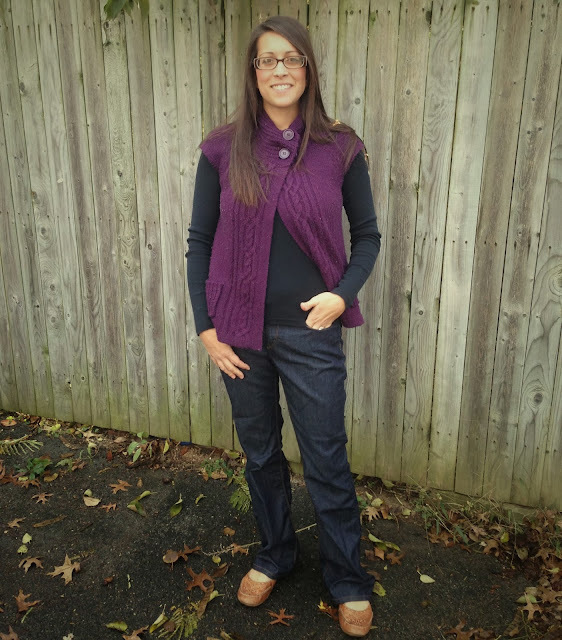 The sweater is super cozy (I also have one in brown), and it was easy to pair it with a simple black long sleeved crew neck (I like the ones from Gap because they are long in the torso). If you don't have an open front sweater or cardigan, a short-sleeved knit sweater would look great too. I completed the outfit with simple flats. This is a great casual look for a night out or even work (if you pair it with non-jean trousers). How are you making fashion (P)INSPIRATIONS into REALITIES? Do you have a Picture Perfect Challenge that you've completed? Send it to me, so I can showcase it!